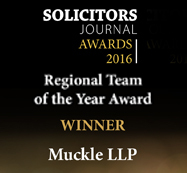 We are very pleased to announce we’ve received national recognition at the Solicitors’ Journal Awards 2016 by being named the Regional Law Firm of the Year. 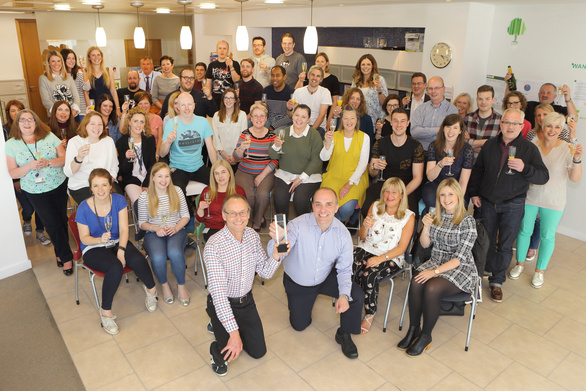 Our team was awarded Regional Team of the Year, for our dedication to clients, our people and our devotion to helping to improve communities across the North East. 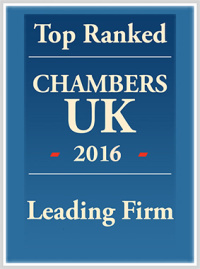 The judges also noted the firm’s strong growth over the last five years. We were the only firm based in the North East to be nominated for the award. Our senior partner, Hugh Welch and managing partner Jason Wainwright, were at the ceremony in London to receive the award from British broadcaster and journalist, Andrew Marr. Our lawyers, all North East based, are well-known across the region for giving their time, knowledge and skills to help those who would otherwise not be able to access legal services. In the last 12 months, the firm has provided pro bono advice that, on a chargeable basis, would have been worth over £100,000, benefitting over 40 charities. Our people have also volunteered more than 2,500 hours of their time to numerous projects, often at weekends and taking advantage of the two days’ additional paid leave that the firm gives to its people to carry out charitable or community work. Hugh Welch said: “We are delighted to be recognised for different aspects that are so important to us all at Muckle. Check out our Corporate Social Responsibility Report for more information on our recent community projects. For more information, help or advice on how we can help you or your business please contact Jason Wainwright on 0191 211 7951 or email [email protected].